At Comicon, I had the distinct privilege of hanging behind the scenes with the folks from Dark Horse. 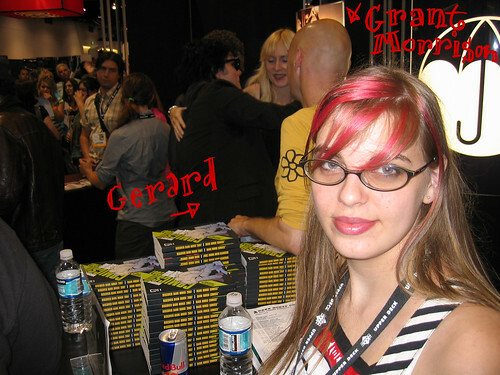 My friend Jon is good pals with Gerard Way from My Chemical Romance…so mostly we stuck around during his signing time. 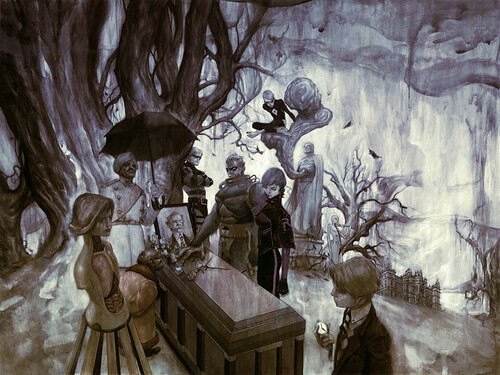 This whole signing thing was to promote Gerard’s new comic The Umbrella Academy, which promises to be really excellent! The story is by Gerard and drawn by Gabriel Ba, with cover art by James Jean (see above). I just love the ‘visible woman’ in the above graphic! I’m a sucker for anatomy, though. We got to see some of the inside pages at Dark Horse, and Gabriel has done an amazing job with the art. A fun surprise at the event was the appearance of the man behind The Invisibles (and one of my personal heros), Grant Morrison! My interaction with him was unfortunately very brief, but I did manage to knock his can of unopened Red Bull onto the ground, where it promptly started spraying and leaking. Oops! He hugged me anyways before running off to speak at a panel. I did, however, hang out for a while with his very lovely wife, Kristan…who I’ll have to get in touch with if I’m ever in Scotland. Anyways, sorry for the lack of updates, it’s been super busy in client-land over here! I’ll have a last Comicon follow-up entry later in a couple days, plus some new illustrations, and an article on why I became a freelancer! sho nuff! 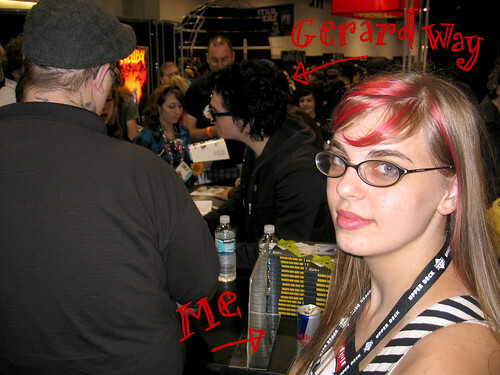 It’s probably all over a ton of MCR fan sites now, too…because I was standing right there for the whole signing.